In the “old days,” back in 1966, there was something available at stores called “lay-away.” You could put a down payment on an item and pay over time. Of course, you didn’t receive the item until you paid in full. If you are smiling a knowing grin, you are revealing your age, and it’s most likely as old as I am. But in those days when I worked part-time for very little pay and went to high school, I loved the lay-away plan. One day as I shopped at our local department store, I fell in love with a red coat that was gorgeous and expensive. Only by paying my hard-earned five dollars each week did I have any hope of wearing such a fabulous coat. Finally, the coat was mine, and I wore it for the first time to our high school’s championship water polo game. While there, I met Larry through a mutual friend. Eventually that meeting blossomed into marriage three years later. While we dated, God used Larry to draw me to Christ. Yes, missionary dating! After we were married, Larry told me he was immediately attracted to the rich-looking red coat I wore when we met. He thought I was rich. Underneath, I wore the inexpensive clothes I’d bought at a discount store. But the red coat did the trick. As I speak to women at speaking events about this righteous robe, I often ask them to close their eyes and envision their righteous robe and what it looks like and how they feel. Some envision different colors. Red, purple, and white are the most popular colors. They might describe different fabrics: silk or velvet or trimmed in fur. Some describe they feel peaceful, empowered or loved. Can you sense your righteous robe wrapped around you? You received this robe as a free gift because of Jesus’s death and resurrection. You don’t even have to pay $5.00 a week on lay-away for it. It is immediately yours at your point of salvation. 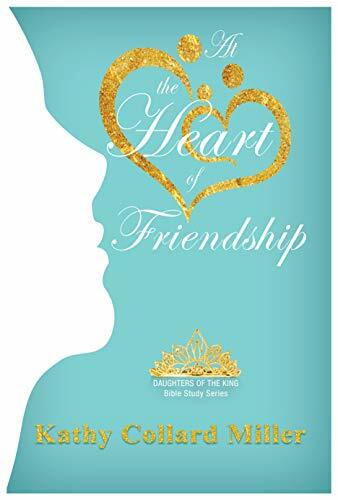 About the author: Kathy Collard Miller is the author of more than 50 books including At the Heart of Friendship: Daughters of the King Bible Study Series.A popular women’s speaker, she has spoken in over 30 US states and 8 foreign countries. She lives in Southern California and loves to encourage women to know their value in Christ. Visit her at www.KathyCollardMiller.com, www.facebook.com/KathyCollardMillerAuthor, or on Instagram: @kathycollardmiller. I love that, Julie! And we’ll take off the bars and stripes and awards and put them at the feet of Jesus, who was the source of them all. wow. Love the visual! I love this, Kathy! What a beautiful way to describe the robe of righteousness we will one day wear. Terrific analogy. I will remember this and use it to share with others. Thank you, Linda. I’m so glad you’ll share it with others. It sure has been meaningful to me! Blessings to you!